INKin' All Night! : You're My Valentine! 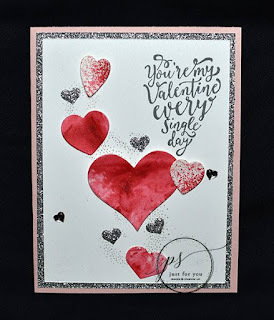 As we prepare for Valentine's I wanted to share with you some ideas that feature the SURE DO LOVE YOU stamp set from the Occasions catalog. Each month I work along with several other SU! demonstrators in a Project Ideas Co-Op and I have struggled to actually use the ideas that I have access too... so this month I have decided I will share them here to help inspire you! 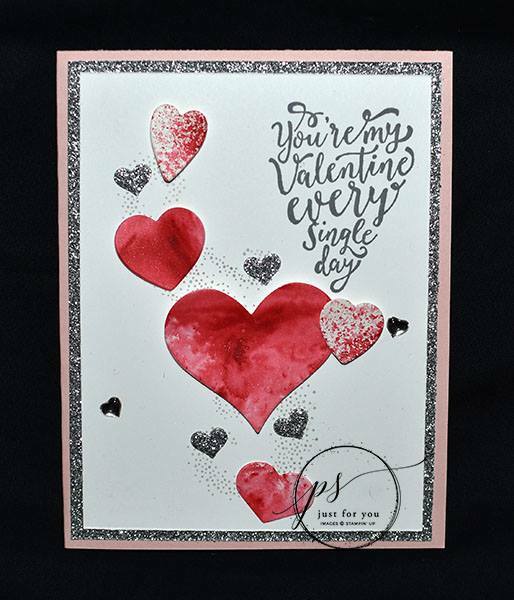 This card features Sure Do Love you and the Star of Light stamp sets along with the Mini Treat Bag Thinlits and Lots to Love Box Framelits - - - and a touch of the new Brusho Crystals! Super adorable and so sparkly with the Glimmer Paper too!